A lovely necklace to show teachers your appreciation for all they do. 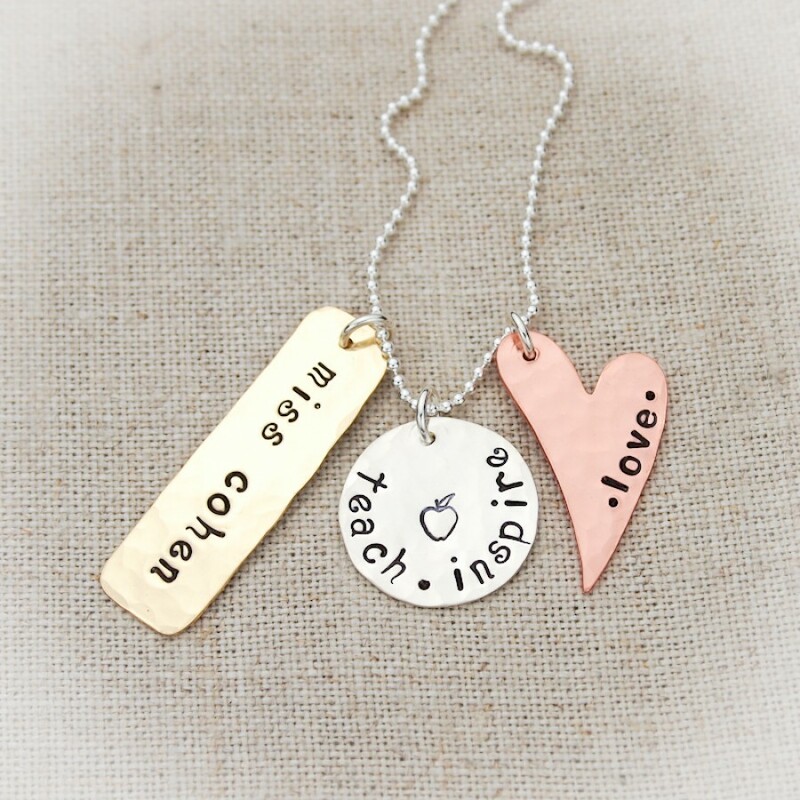 Can be totally customized for music, art, physical education teachers. -Hammered 5/8" silver disc with "teach . 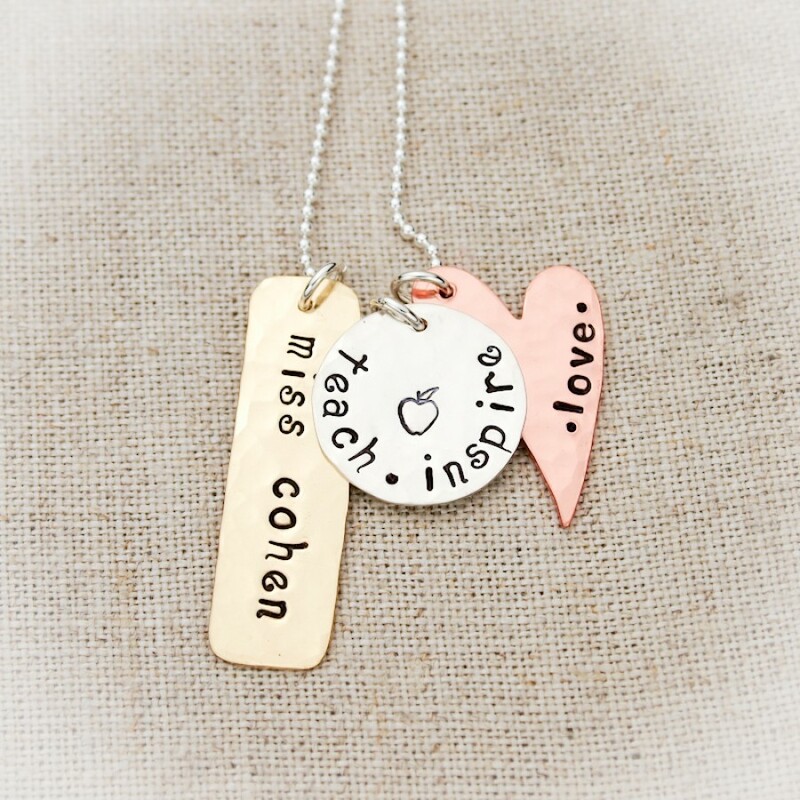 inspire" or any words of your choice with a little apple stamped inside. 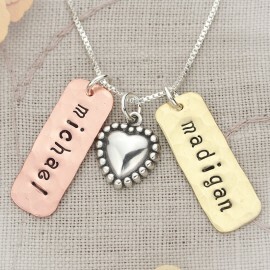 Items are hand stamped which creates a unique and organic feel. There may be slight variations in spacing because each letter is done individually.